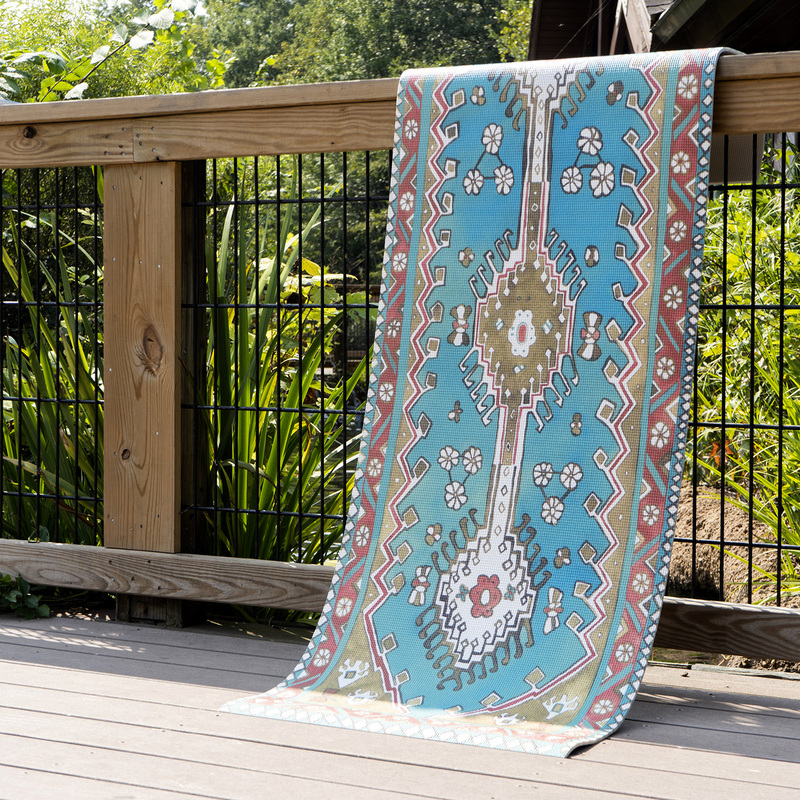 These beautiful yoga mats feature the classic ornate floral and geometric patterns often found in traditional Persian rugs. 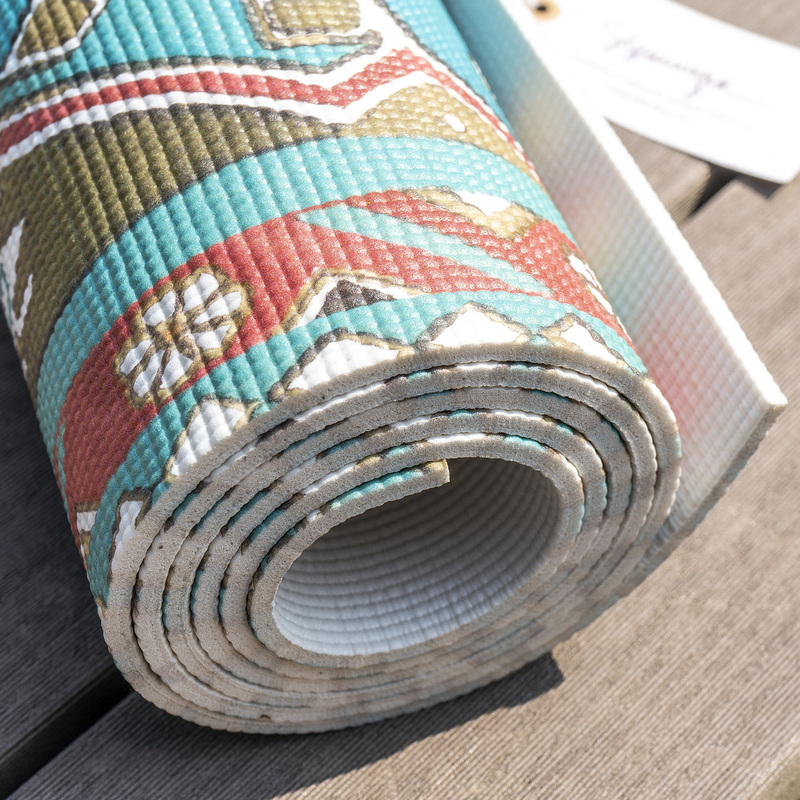 At a full 1/4" thick and extra sticky, these non-toxic and phthalate-free mats will help you take your practice to another level while the beautiful, hand painted designs will delight you with every down dog. 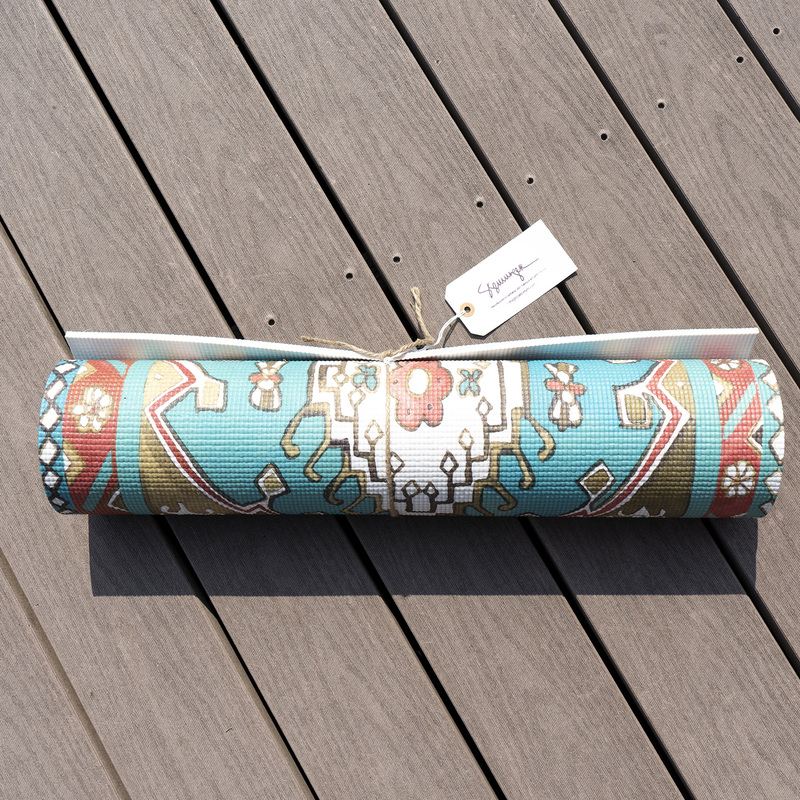 Full mat dimensions are 24" x 70" x 1/4"